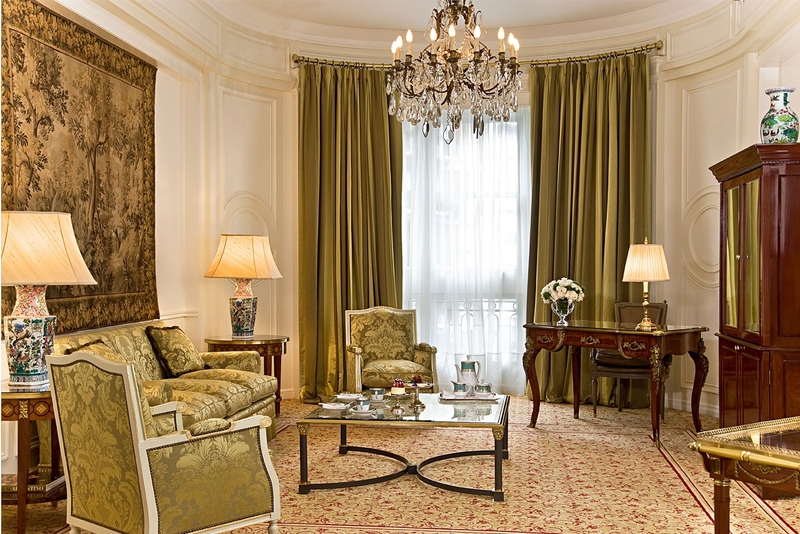 Unique and unforgettable, the Alvear suite will gratefully shock you. 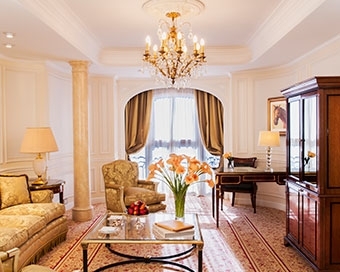 Modern French style harmonizes perfectly the classic spirit that can be seen in its classic furniture, its works of art and its luxurious curtains with small approaches of new splendor, captivating guests, and visitors. 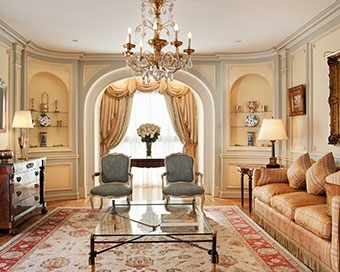 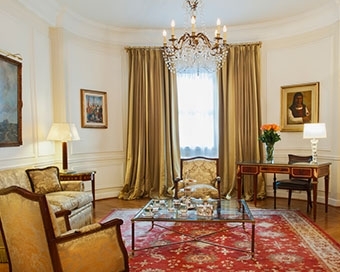 Of large dimension and brightness, the Alvear suite features an important reception hall, an oval living room and a comfortable bedroom with a dressing room. 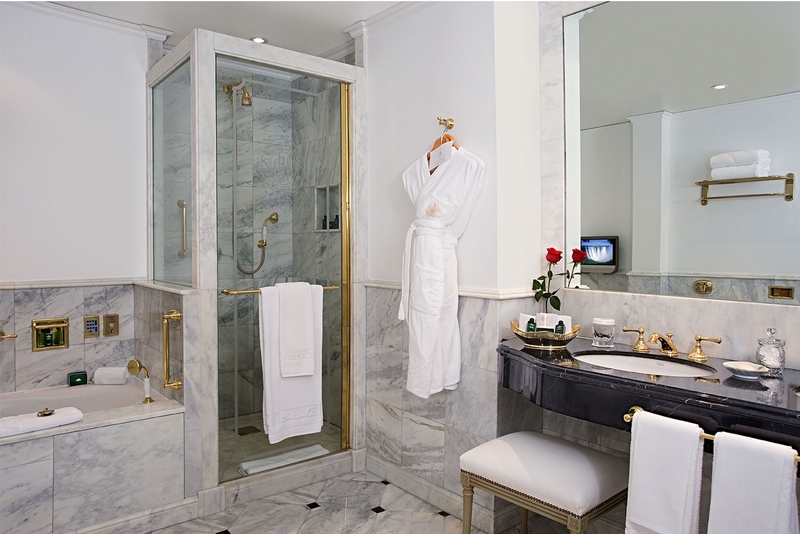 Relax in the splendid bathrooms clad in Carrara marble, well-appointed with a Jacuzzi, independent shower box and exclusive Hermès toiletries. 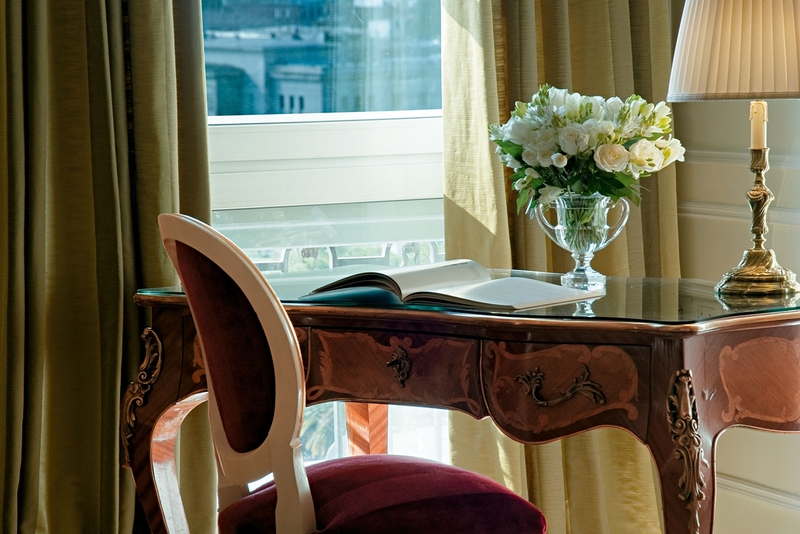 Butler service.